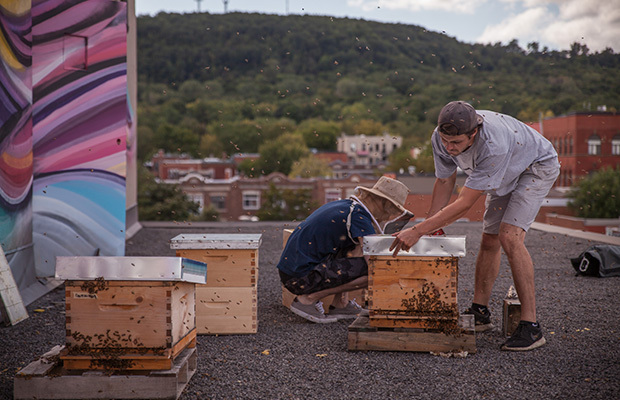 Last June, Cascades launched a new partnership with the urban beekeeping company Alvéole. This social enterprise, which assists organizations in producing honey in urban environments, installed six hives on the site of our Brossard unit for a three-year period. The hives will produce at least 40 kilograms of honey per year. 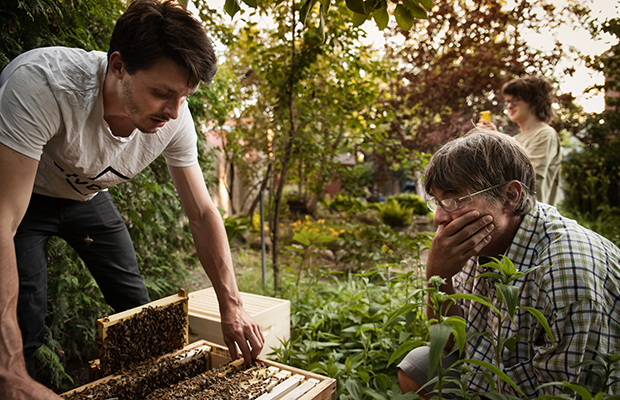 Their objective: Change the urban landscape of Canadian cities, one hive at a time. Alvéole hives can be installed on the roofs of houses, on balconies or in yards. Number of hives installed to date: 500 hives in Montréal, Quebec City and Toronto. Why produce our own honey? By making this active contribution to sustainable development, Cascades is helping to increase local honey production, pollination and greening in urban environments. The mission of this initiative is to protect bees, whose populations are declining significantly around the world. Bees are insect pollinators that play a major role in fruit, vegetable and nut production: a third of our food relies on their pollination. We harvested the Cascades honey made by our thousands of winged colleagues! On September 6, 2016, our partner Alvéole visited the site of the Brossard unit to extract the honey and put it into jars. Our bees travelled the equivalent of four times around the globe to produce each kilogram of honey. A hive contains approximately 50,000 bees. Bees must visit five million flowers and travel the equivalent of four times around the world to produce a single kilogram of honey. Their wings beat 230 times per second, which is what creates their buzzing sound.